I was born in Oppdal into a family that took me on hikes in the mountains and skiing in the ski resort. In the summers I've played soccer, and rode dirtbikes preparing for the winter season. However, what I've liked the most is snowcross! Three years ago, after winning the Swedish Championship in 2014, I got the chance to race in USA. 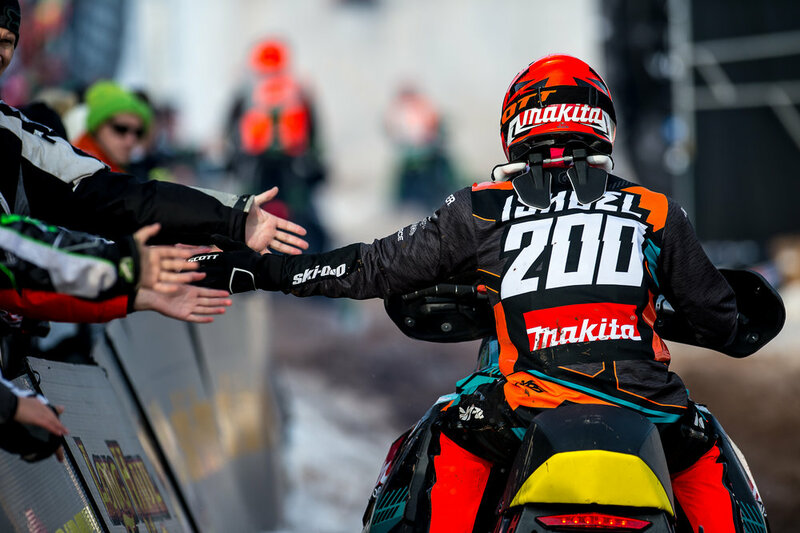 I was invited by BRP to race in the Amsoil Championship Snocross. Today, I spend most of my time on my snowmobile, trying to be the fastest I can be! I’m grateful to have people around me who have not only inspired me, but also helped me to get where I’m today. I hope to keep doing this for several years to come. I hope you will follow my journey on Instagram and Facebook. This season there will be some changes. I’ll still be riding for the Ski-Doo factory, but this time for Boss Racing. Copyright 2017 © Elias Ishoel, All rights reserved.